Advantage Print Solutions delivers the Right Part, at the Right TIme with Experienced & Trained Service Technicians. Need help with a printer problem? Want to schedule a service call? Our experienced technicians are ready to help! In today’s high speed world, equipment downtime means lost time. It’s no longer enough to simply have the best imaging equipment – you also need service to support it when things go wrong. With over 30 years industry experience and one of the most responsive service teams in the Tri–State area, Advantage Print Solutions always delivers THE RIGHT PART, AT THE RIGHT TIME WITH EXPERIENCE & TRAINED SERVICE TECHNICIANS. 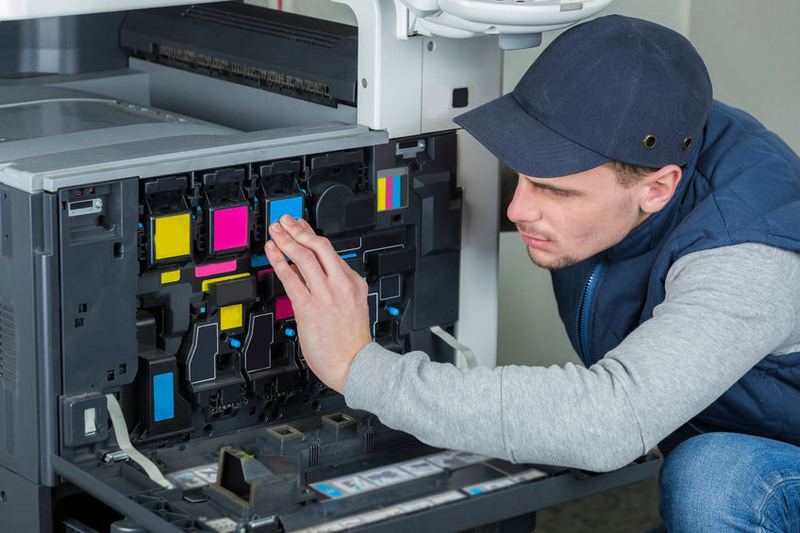 If you’re not ready for a managed print plan or service plan, we offer hourly rates for on-site printer and copier repair.